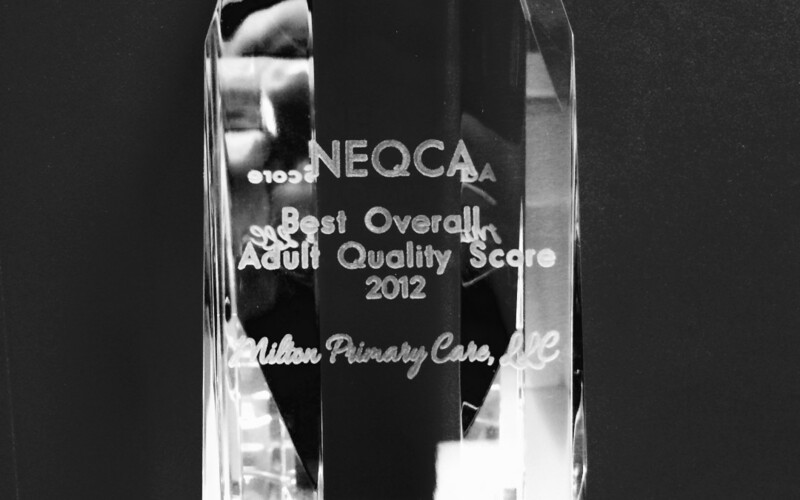 Milton Primary Care was honored to share the prize for the “Best Overall Adult Quality Score 2012 Award” in the NEQCA network. 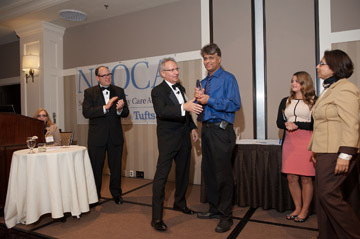 Dr Mark Singh, the MPC President and Dr Shaheen Mian, MPC Quality Medical director, receive the prize from NEQCA’s CEO, Dr Jeff Lasker and Dr Mike Cantor, NEQCA’s Chief Medical Director, on behalf of Milton Primary Care, LLC. MPC was obsessive about tracking each physician’s performance throughout the year using a computerized Patient Registry tool. Our physician offices took a highly targeted approach in identifying individual patients for whom a care intervention was required. Each patient identified, was engaged by office clinical staff to ensure they received the required intervention. In doing so, MPC was able to achieve the triple AIM of improving the health of its patient population while maximizing the health of each individual patient.